EYE will be back again next year. 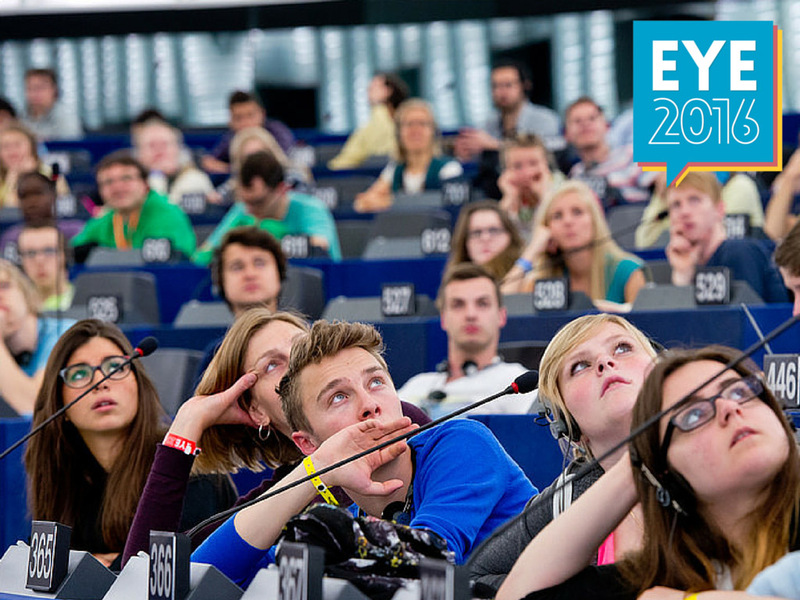 The European Youth Event (EYE) will return next year and you could be a part of it! #EYE2016 organisers are looking for enthusiastic young people and organisations that want to help shape the event's programme. Check out the Facebook page for the latest news, including all the information about the previous edition in 2014 and its follow-up phase. On 20-21 May 2016, the European Parliament in Strasbourg is opening its doors once again to thousands of young Europeans, who will have a unique opportunity to meet and discuss with European decision-makers. As the event's motto is "Together we can make a change", participants are also encouraged to come up with their own ideas for how to improve Europe. Participants, aged between 16 and 30, will come from all over the EU as well as from candidate states and neighbourhood countries. Registration for participation opens in October, however young people and youth organisations that want to contribute to the programme can already sign up now until 4 September.